I picked up a few bunches of beets to make Pickled Beets the other week, and was left with all these glorious Beet Greens. 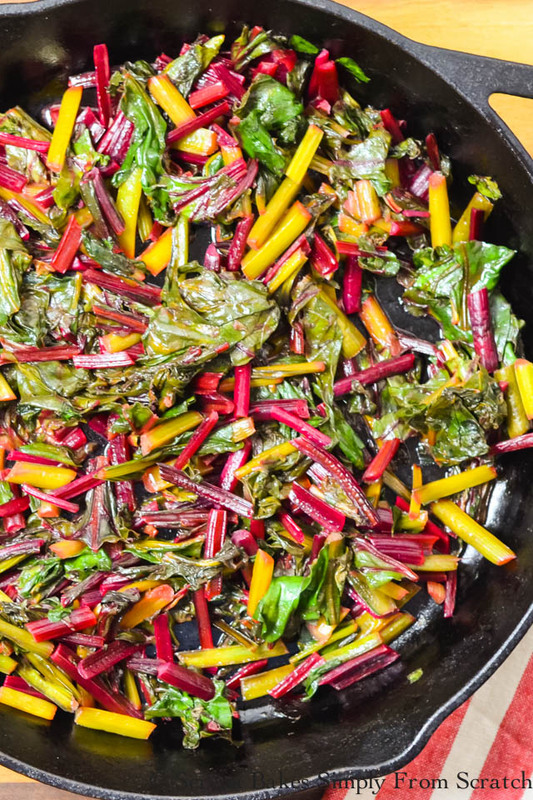 For the most part the kids hate beets unless they are pickled, but they love Sautéed Beet Greens, and just about any other type of Green. I'm pretty sure it has to do with the creamy butter, and then tangy vinegar I put over the top. They are absolutely scrumptious! Plus that color! 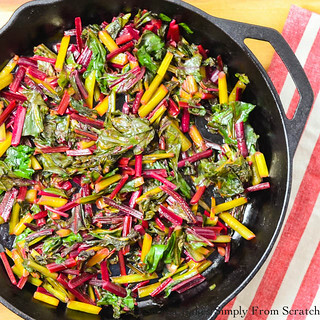 How could you not want to devour a big old side of Beet Greens? 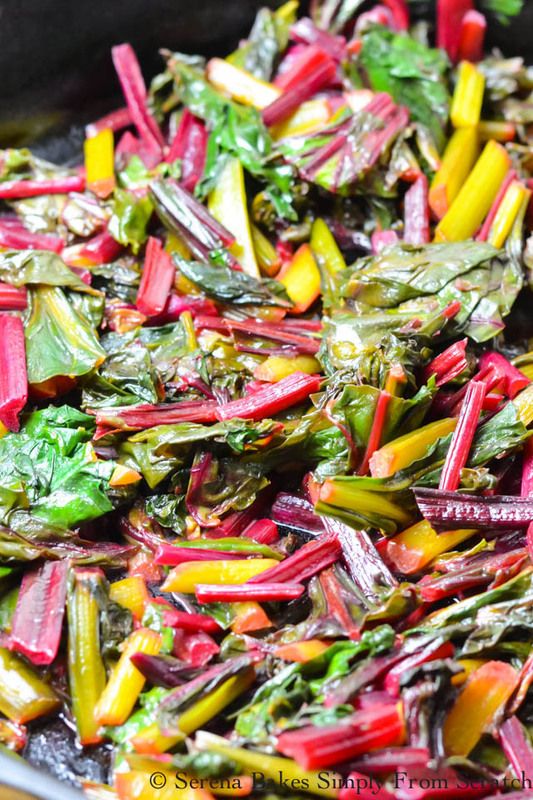 If your looking for an easy side for dinner I strongly recommend trying Sautéed Beet Greens even if you aren't fond of beets, this just might change your mind. Chop 2 large heads of Beet Greens. Wash in cold water well to get rid of any grit, and drain well. 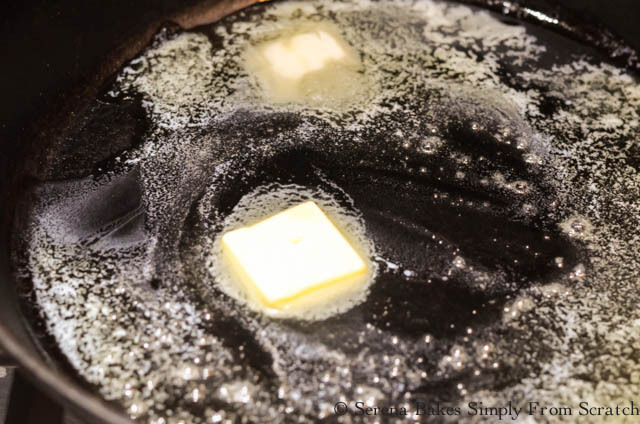 In a large heavy duty skillet melt 2 tablespoons Butter. If you like garlic you can add a clove of minced Garlic with the butter, and sauté until softened. Sometimes I add garlic, and sometimes I don't. It's good either way! 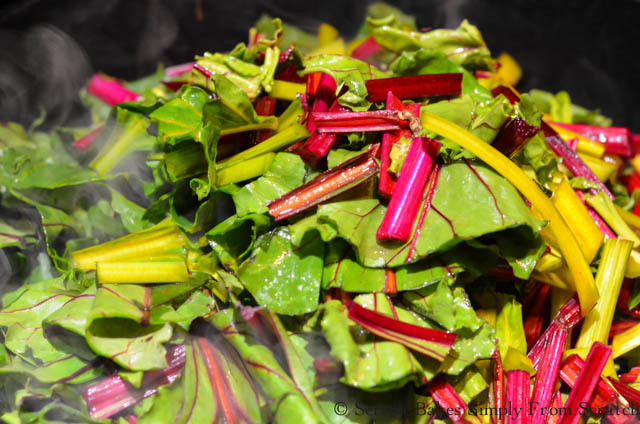 Add Beet Greens, and cook until wilted. Once stems are tender, and leaves are wilted sprinkle with 1-2 tablespoons Red Wine Vinegar, White Wine Vinegar, or Balsamic. It's pretty versatile to use whatever you have on hand. Salt and Pepper to taste. 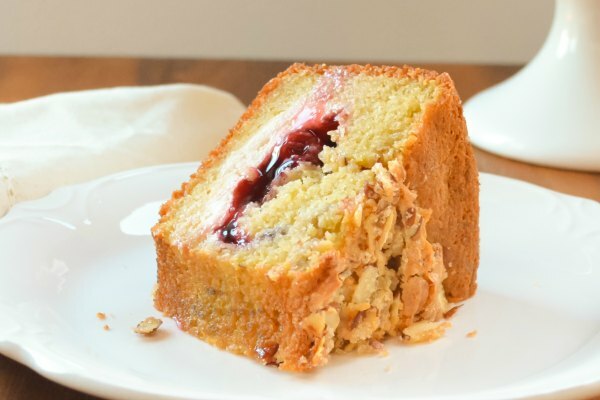 I actually just made more of these this morning with a runny egg for my breakfast! 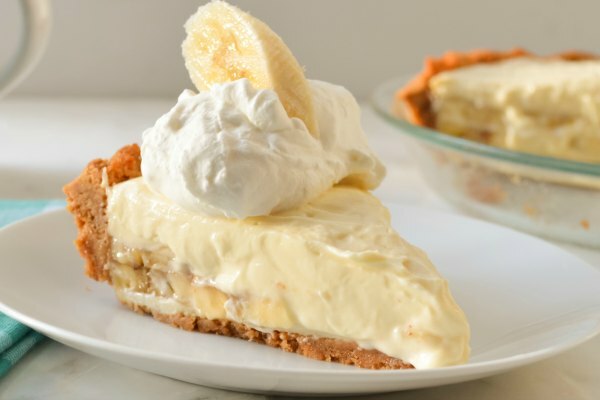 It was so good, and simple! I think I might just become a regular for me! 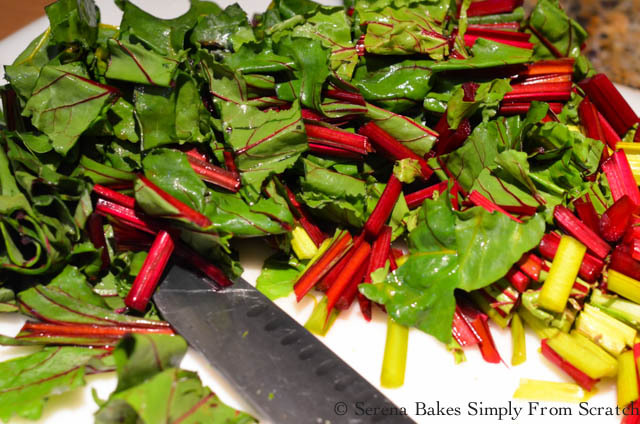 Sautéed Beet Greens with Vinegar from Serena Bakes Simply From Scratch. In a heavy duty skillet over medium-high heat melt butter. If using garlic add garlic, and sauté until softened. 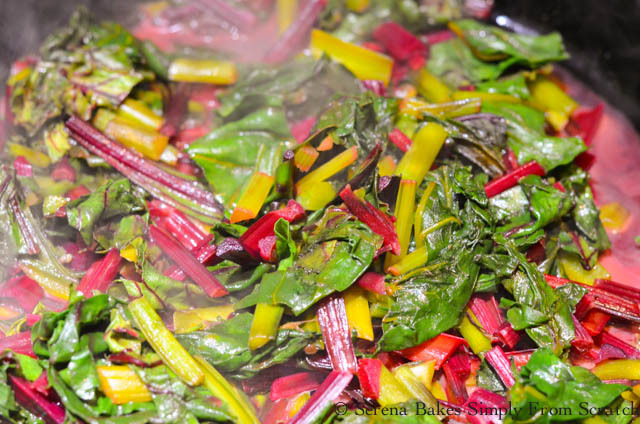 Add beet greens. Cook until stems are soften, and leaves wilted. 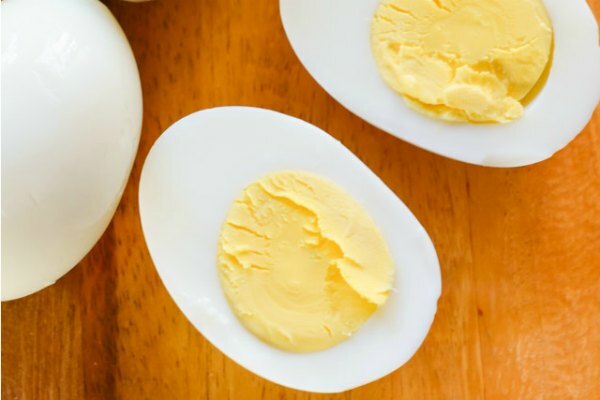 Add vinegar, salt, and pepper to taste. Stir until well combined.